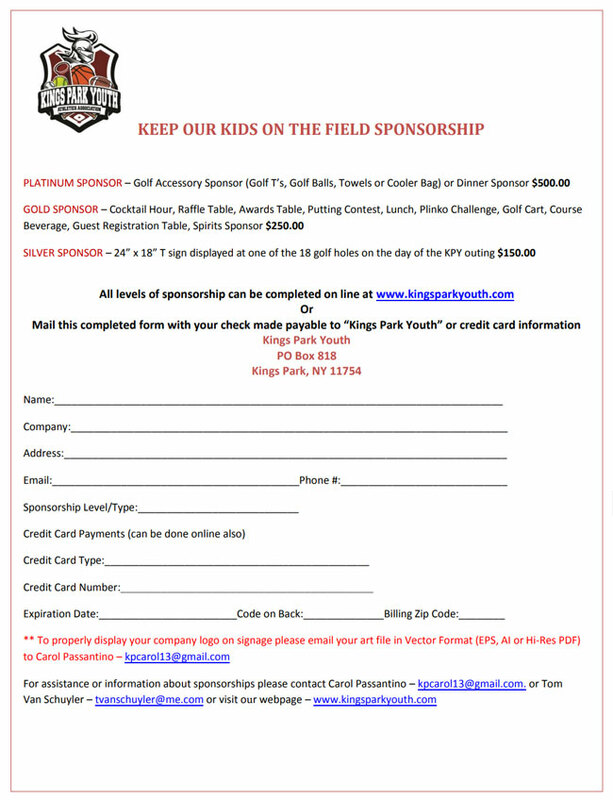 On Monday, May 13th, Kings Park Youth will host KPY’s annual spring golf outing & dinner to support “Keep Our Kids on the Field”. This is the only organization-wide fundraiser of the year for KPY. Our goal is to ensure sport opportunities are available to the youth of our community from pre-K through the high school level. 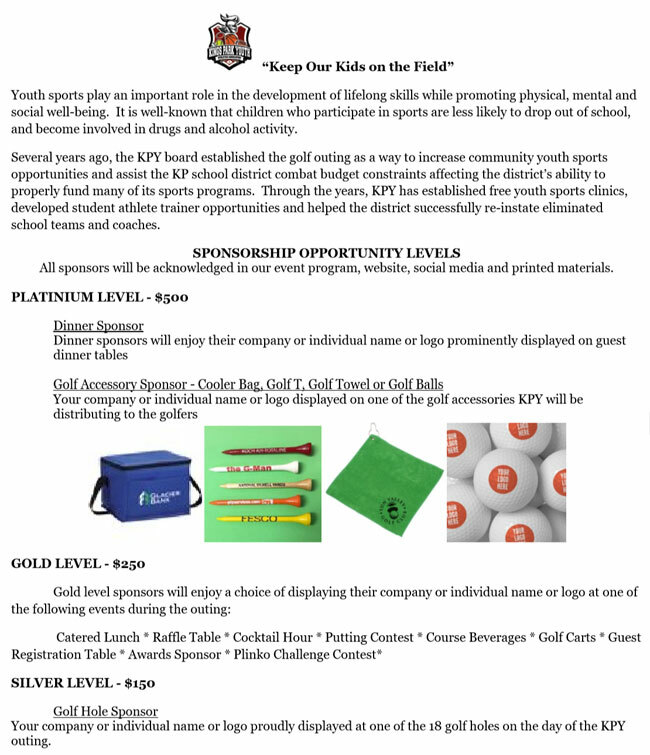 In past and current years, funds raised at the event have allowed KPY to provide free youth sports clinics, fund community initiatives such as park renovations, KPY’s student trainer initiative, provide scholarships for graduating student athletes, and assist the school district with funding middle school & high school sports programs and facilities. Please consider this important fundraising event where all proceeds will go towards our goal to “Keep Our Kids on the Field”. We thank you. The kids of Kings Park thank you! Interested sponsors can donate through our Registration System, by contacting Carol Passantino (kpcarol13@gmail.com) or by completing our Sponsorship Form.